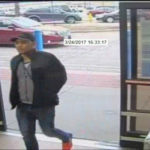 The Richland County Sheriff’s Department and the Richland Center Police Department report that the two departments are investigating multiple fraud complaints involving identity theft and debit card fraud. It appears that debit card numbers along with pin numbers have been compromised when the cards were used at area businesses recently. 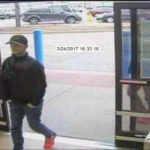 Fraudulent purchases and withdrawals have been reported by local residents. Law Enforcement recommends you monitor your accounts for unauthorized transactions. Report any suspicious account activity to your financial institution and your local law enforcement. Law Enforcement also recommends when using your debit card, take care to shield your PIN number. On March 25, 2017 the Richland County Sheriff’s Department took a fraud complaint from a party in Richland County. The reporting party advised that her debit card was used to make fraudulent purchases at seven different Wal-Mart stores. 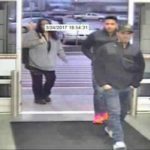 The incident happened on March 24, 2017 for approximately $850 dollars. Purchases were made from the Sun Prairie, Madison West & East, Stoughton, Baraboo and Lake Delton Wal-Mart stores. Law enforcement was able to get photos of two suspect parties and their vehicle. Both suspect parties are male Hispanics in their late 20’s and early 30’s. 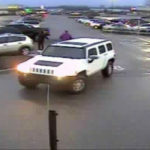 The suspect vehicle is a newer white Hummer with unknown plate. If you are able to identify either suspect party or have other information regarding this complaint please contact the Richland County Sheriff’s Department at 608-647-2106.